FRIDAY, Feb. 20, 2015 (HealthDay News) -- Postmenopausal women who are at high risk for broken bones may also be at increased risk for gum disease, a new study suggests. The research included almost 200 women, aged 51 to 80. They had all gone through menopause within the last 10 years, didn't smoke and hadn't taken hormone replacement therapy, bone loss prevention drugs or diabetes medications for at least five years. The women's gums were examined and their fracture risk was assessed on a Fracture Assessment Risk Tool (FRAX), which takes into account factors such as weight, height, previous fractures, arthritis, smoking and diabetes. 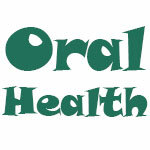 Many of those factors are also associated with gum disease, the researchers noted. Women with high fracture risk scores also showed the strongest signs of gum disease, a finding that suggests that fracture risk could be a reliable indicator of gum disease, according to the study published recently in the journal Menopause. "More investigations are needed, but the FRAX tool score can potentially be used as a way to find women at risk for gum disease," Leena Palomo, director of the periodontics program at Case Western Reserve University School of Dental Medicine in Ohio, said in a university news release. Women can suffer rapid bone loss in the first decade after the start of menopause as their estrogen levels fall. Lower estrogen levels can also lead to changes in the body that result in gum disease. Health insurance does not cover dental procedures, but there should be coverage for gum disease because it's linked to a woman's overall health, Palomo said.